Fred has worked for Stahancyk, Kent & Hook in central Oregon since 2010. 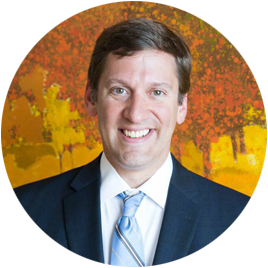 Since joining the firm, he has successfully helped numerous clients navigate divorces and disputes over custody and parenting time, both in court and through mediation. He has also helped numerous clients prepare for the future by managing their estate planning. In 2013, Fred became the managing attorney for Stahancyk, Kent & Hook’s Prineville office. Before joining Stahancyk, Kent & Hook, Fred clerked for Clackamas County Circuit Court Judge Robert Herndon. As a judicial clerk, he observed numerous trials (criminal, civil, and domestic relations) and gained invaluable, practical experience in how the courts work. While in law school, he clerked for the Oregon Department of Justice’s Family Law section. Fred is an active member of the Oregon State Bar Association, the Central Oregon Matrimonial Attorneys, the Inns of Court, Deschutes County Bar Association, Central Oregon Estate Planning Council, Jefferson/Crook County Bar Association, and Jefferson Crook County Local Family Law Advisory Committee. Fred is part of the Prineville Kiwanis chapter. He also volunteers with his local parks and recreation department as a youth soccer coach and serves as a Scoutmaster for his son’s boy scout troop. Fred is a lifelong sports fan. He also enjoys outdoor activities including skiing, cycling, and hiking. But most of his free time is spent with his family as he re-experiences the joys of childhood vicariously through his kids. “Brought my case to Frederick on very short notice about my child custody case. He listened to me and was very knowledgeable and professional. He did his homework and helped us so much. I strongly recommend him to anyone who needs a great attorney.” -D.
“Thank you so much for representing me so well today. I really appreciate what both of you have done and are still doing for me and my family… I am not looking forward to continued litigation yet am hopeful the outcome will be positive. I hope you both have a wonderful holiday season with your families. Thank you.” — T.